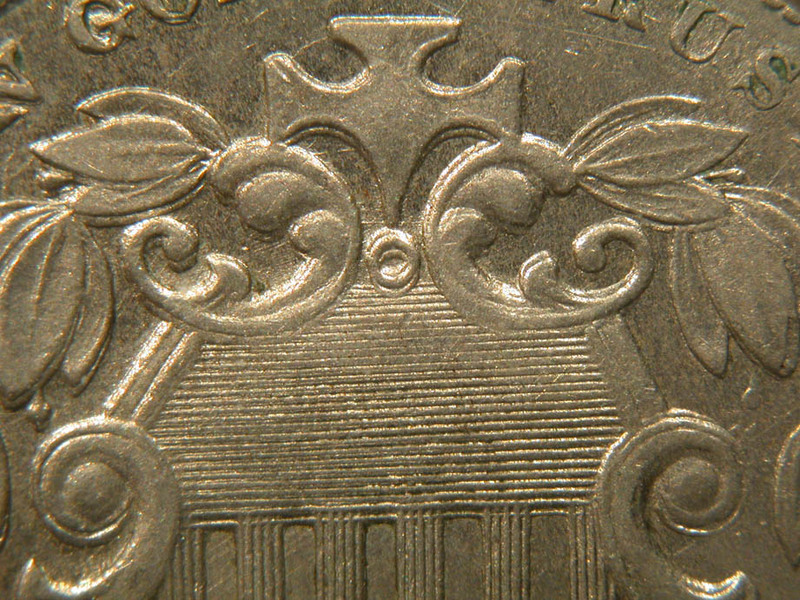 This is the set of SNV photos for the 1876 tripled die obverse (S1-1000, F-04, FS-012, 1-O-II+III(3), BR2507). The quality of these photos has been greatly reduced from that available in SNV by using JPEG compression so that this page will load faster. 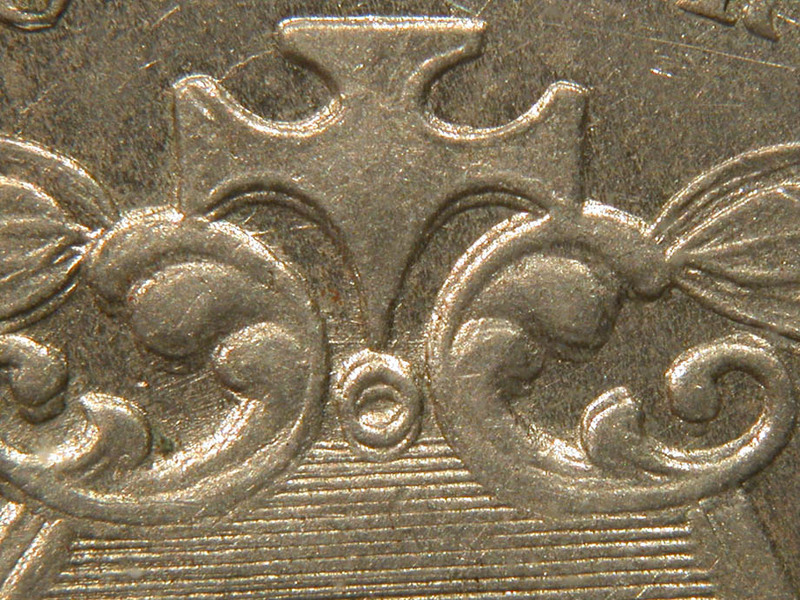 This is a typical set of photos for a later date doubled (in this case tripled) die. 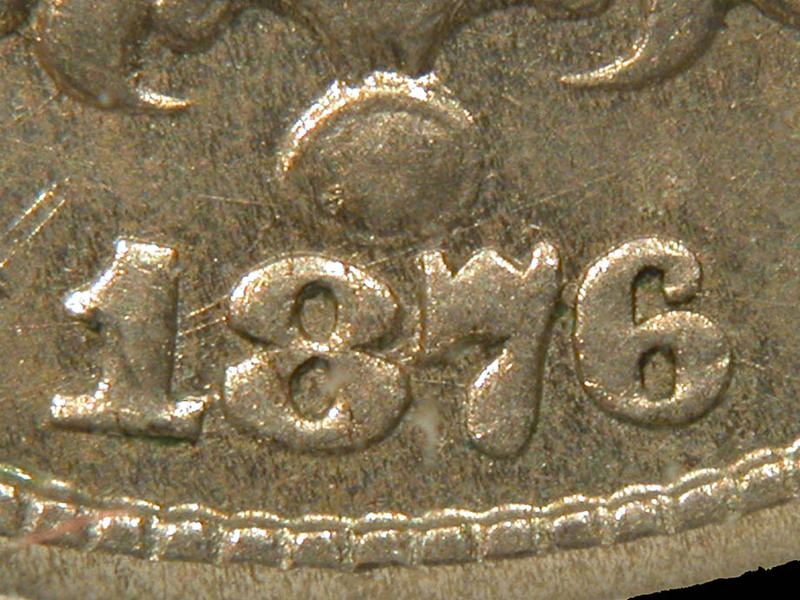 Dates 1866 through 1869 include a special close-up of the engraved leaf. 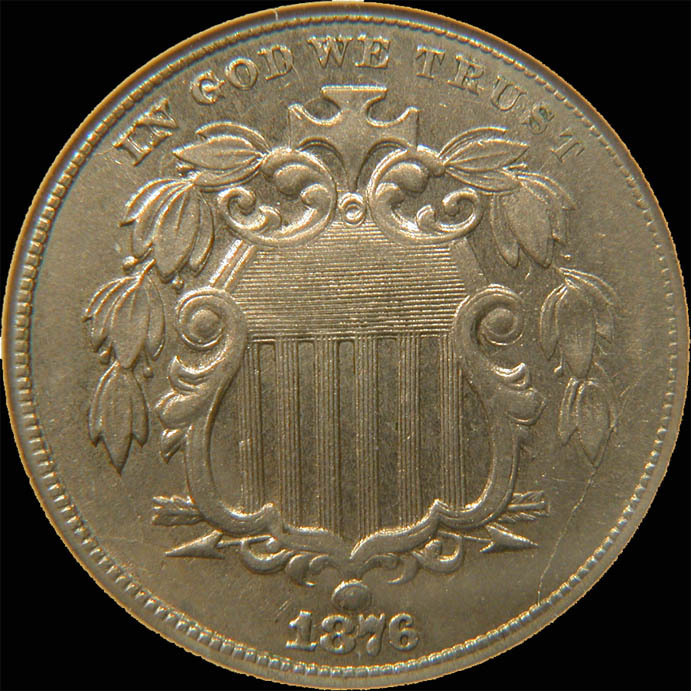 Dates 1868 and 1872 include a special wider view of the date (including the lower part of the shield) to facilitate attributions that require proper determination of the date position. If you read the section of the SNV manual (available online) about contributing, you will see examples of these other photos. 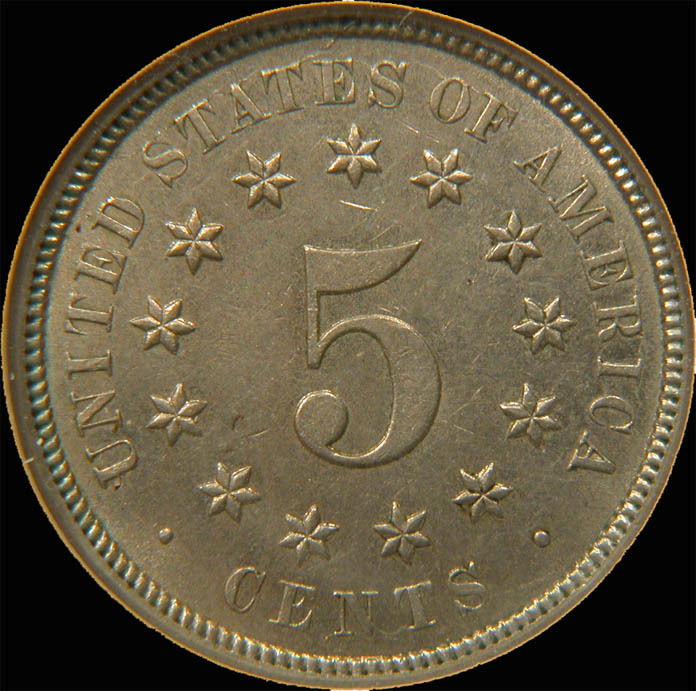 Note: Some of the pictures are fairly wide (a little over 900 pixels) and may require scrolling horizontally unless you expand your browser window.